Applying for an an Australian Financial Services License can be a tricky task. Use this guide to help you understand the application process. If you offer financial services you are required to use an Australian Financial Services (AFS) licence. The AFS licensing process is by no means easy. Much care and consideration needs to be exercised when you file for an AFS licence. Use this guide is to help you and your business get through the application process with as little stress as possible. Do I Need and Australian Financial Services (AFS) Licence? Before applying for an AFS licence it’s worth considering whether you need one in the first place. Under the Corporations Act if you carry on a business that provides financial services you will be required to hold an AFS licence. For example accountancy firms, insurance brokers, banks and financial planners are all required to have an AFS. provide traditional trustee company services. Now that you’ve determined that your business requires an AFS the best way to move forward is to familiarise yourself with ASIC’s eLicensing service. The eLicensing service is the sole means of obtaining an AFS licence and therefore it is vital to read up on all the available information on financial services on ASIC’s website. Using ASIC’s eLicensing tool you will be able to submit an online application form. In this form you will be required to give information about yourself as the applicant, your business and the type of financial services and product that your are going to provide. At this stage you will also be prompted to submit information that evidences your financial expertise as well as the expertise of your business managers. Additionally, you and each manager will be required to provide documents such as income status, current and projected cash flow statements and a description of how your business will continue to abide by ASIC’s financial requirements. Step 2 is crucial to a successful application. In order to understand the exact data that you need to collate consult LawPath and we can connect you to a qualified commercial solicitor who can guide you through the application process. Upon submission of the online form you will be required to pay an application fee of $825 for an individual or $1,485 for a corporate, partnership or trustee applicant. A Risk Management System Statement. After this additional documentation has met ASIC’s requirements you may receive a draft letter of acceptance. But don’t get excited yet. This letter is only a draft and may be subject to you fulfilling certain conditions provided for by ASIC. For example, details of your professional indemnity insurance are often required to be submitted after you have received the draft letter of acceptance. Finally, you are now able to conduct your business and operate under an AFS licence. At this stage ASIC will issue your final licence and set out your obligations to comply. As ASIC is extremely careful in considering AFS applications it is essential to collate all the required information and present your documentation in the approved manner. To fully understand exactly what you need contact LawPath and we can connect you to a practicing commercial lawyer who can take you through the complexities of application process and identify the information that your business will need. Still unsure about the application process? Contact a LawPath consultant on 1800 529 728 to get fixed price quotes to get advice from an experienced lawyer specific to your needs. 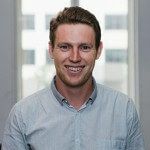 Matthew is paralegal at LawPath and is completing his final year of a bachelor of Laws combined with Political Science at Macquarie University. With a keen interest in IP law, Matthew helps startups understand the ins and outs of trademark registration, protection and enforcement. Here are the important actions you need to do in order to correctly complete the process of establishing your new company. How do I create a Corporate Trustee? Thinking about managing your trust using a company as trustee? Read our guide on how to create a corporate trustee structure.